The generous Derby Donation made by Pro-Troll. 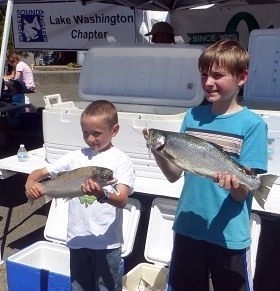 On Saturday June 13, the Lake Washington Chapter of the Puget Sound Anglers held its seventh annual Lake Washington Trout Derby. 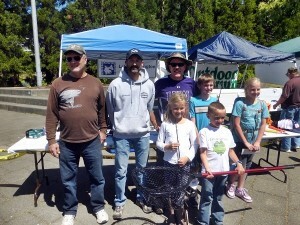 Entrants included members of various Puget Sound Anglers (PSA) chapters as well as members of the general public. 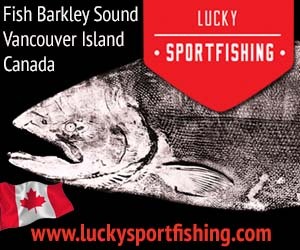 The public has been encouraged to participate in this derby for the last several years and this year more than half of the 86 registered anglers were not affiliated with any PSA Chapter. Derby chairperson John Vaspir reported that this was the most successful derby ever – 36 derby participants weighed-in 47 trout with a total weight of more than 83 pounds! WOW! 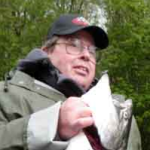 The biggest trout weighed 3 pounds 11 ounces and was caught by an angler who is not a member of PSA. The average size of trout was 1.78 pounds. Additionally, 25 children fished in this year’s derby! 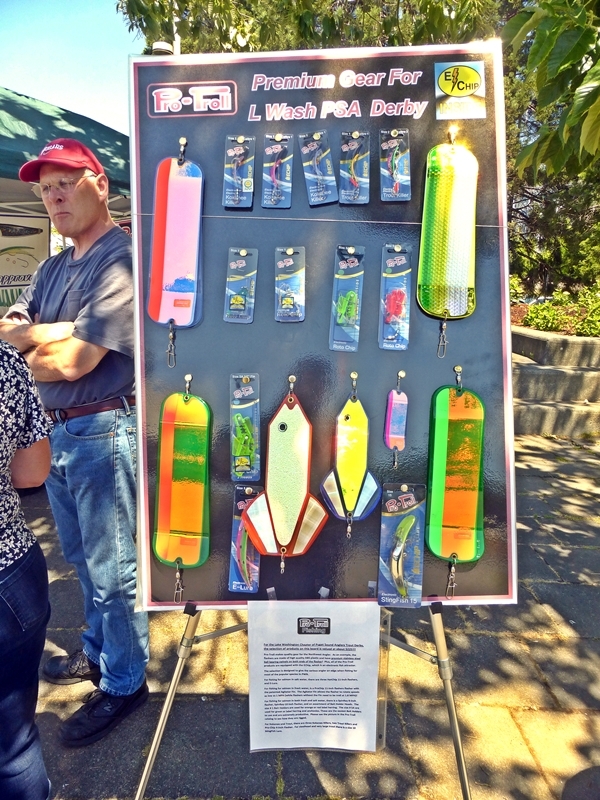 Longtime derby sponsors Brad’s Killer Fishing Gear, Outdoor Emporium and Pro-Troll were joined by the Northwest Marine Trade Association (NMTA) to support this year’s event. The NMTA provided a generous grant to allow the Derby to award a prize to every child entered in the competition. 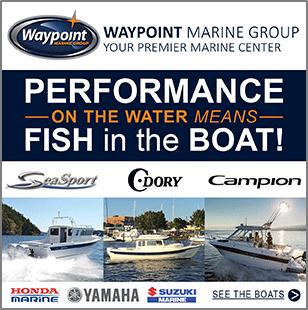 Plus, the grant allowed the derby to reimburse the launch fees for those anglers who had children in their boats. The result of this combined support was that $1,000 in cash prizes were awarded. 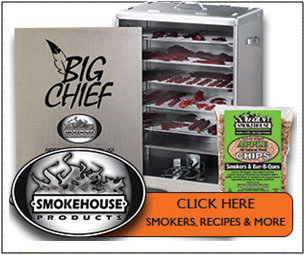 Also, there were additional prize drawings with products provided by the official sponsors. 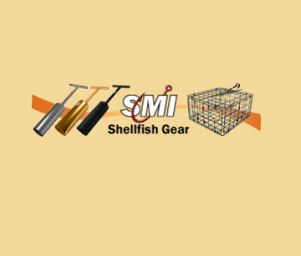 Due to their generous contributions, every angler who attended the weigh ceremony received a prize, whether or not they weighed-in a fish! In addition to the individual Derby competition, the Lake Washington and Renton chapters competed against each other to see who would be “awarded” the dreaded “Swine Cup” Trophy. The “Swine Cup” competition started in the mid-80’s, when these were the only two chapters in the Puget Sound Anglers. It has been hotly contested over the years! This year the Lake Washington chapter was “awarded” the “Swine Cup” and is required by a Code of Honor to display the Trophy at all their events until they are able to redeem themselves in a future derby.